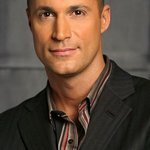 Nigel Barker, renowned fashion photographer, TV personality and author, announced today that he will be supporting the United Nations Foundation's Girl Up campaign as one of its newest champions, joining the movement to improve the lives of adolescent girls in the developing world. Girl Up is a “for girls, by girls” campaign that enables American girls to make a global impact by raising funds and awareness for proven UN programs that help some of the world’s hardest-to-reach adolescent girls. Girl Up supporters can give a “High Five” donation of $5 or more that provides girls in the developing countries with basic needs like access to school supplies, clean water, life-saving health services, and safety from violence. Barker joins Girl Up today for the campaign’s official launch in New York City and will go on to support the “Unite for Girls” tour, which travels to cities across the U.S. to activate and engage teens from coast to coast. He will also visit programs Girl Up is supporting overseas that are helping make a difference in the lives of adolescent girls. Internationally renowned, Barker is best known as a photographer and judge on the show, America’s Next Top Model, which is now in its 15th cycle, aired in more than 146 countries and watched by more than 100 million people per week. Earlier this month, Barker released his first book, Nigel Barker’s Beauty Equation: Revealing a Better and More Beautiful You. The book guides the reader through a series of self-portrait and journaling challenges, which help the reader to discover their inner beauty by building confidence and self-esteem and in turn, enhance their outer beauty. Barker joins Lisa Masterson, Victoria Justice and Queen Rania Al Abdullah of Jordan as a supporter of the campaign.